Fond of Snape » Blog Archive » What Is It Wednesday? 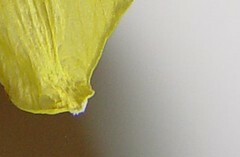 A daffodil! 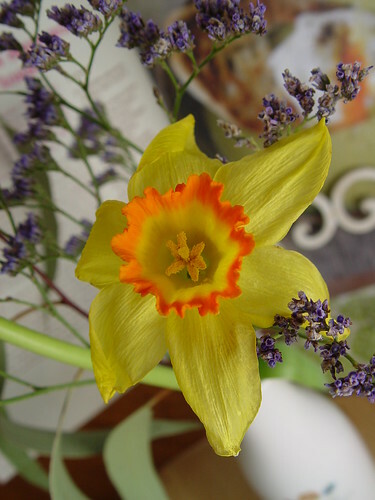 A bit different shot from the other one I posted on my blog, but…the same flower! It’s gonna be cute, whatever it is! Um… the Easter Bunny eating a Christmas mint?! Hope you’re feeling well… nice to have WIW back! 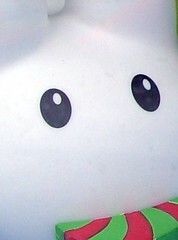 Is that a kidrobot bunny? It’s that little bunny from the window walking back from reading terminal market! I would have guessed daffodil. All right, maybe only that it was a flower petal, but I’d have been in the ball park. This one? Hmm….. *head tilt* I’d say eraser caddy.